As a small and growing business, your storage infrastructure may be one of the most important elements. Without a proper way to house data, your organization will struggle to expand and meet the demanding needs of your customers. 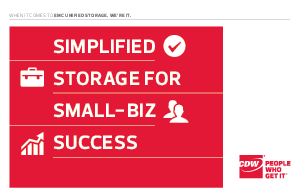 Download this whitepaper to find out how a unified storage system will meet all the needs of your small business and how it will help your organization grow.